Microsoft and Nokia have teamed to bring Microsoft's Office applications, including Word, Excel and PowerPoint, to Nokia eSeries handheld devices. The move is a shot across the bow of RIM Blackberry which currently dominates the business smartphone space. The partnership also enables Microsoft to extend the reach of its messaging and communications products. Both companies stressed the move to put Office apps on Nokia phones is not an attempt to compete with the popular iPhone - something considered a consumer device, not a business tool. 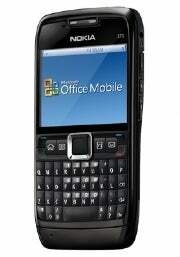 There is no official word on availability of Office on Nokia phones, however, unofficial sources say early 2010. The partnership is a strategic coup for Microsoft. I stated just days ago that Microsoft should invest less effort in convincing iPhone app developers to create apps for the Windows Mobile platform, and more on developing tools that enable other mobile device systems to work with the backend servers and Microsoft applications. I didn't have any inside information on today's news, nor do I claim any prescience on the matter, but apparently someone at Microsoft had already had the same idea. The Microsoft and Nokia partnership will duke it out with RIM Blackberry in the enterprise, where Nokia has been struggling. The ability to deliver mobile productivity and collaboration that integrates seamlessly with dominant Microsoft applications makes Nokia's mobile devices much more appealing for businesses and gives them a much stronger position against the Blackberry devices. Nokia will definitely benefit from this relationship. Microsoft has more to gain than Nokia does from the partnership though. Nokia already has 45 percent of the smart phone market, but the Windows Mobile platform has struggled. No mobile device platform will ever achieve 100 percent market share, and restricting products like Office Communicator Mobile to the Windows Mobile operating system is a significant handicap for the bigger picture of selling Microsoft Unified Communications to businesses. By extending accessibility to Microsoft servers and applications to other mobile device platforms Microsoft can remain dominant on the backend no matter what mobile device its customers are using. Microsoft has established dominance in messaging with Exchange Server, has a strong and growing presence in unified communications with Office Communications Server, has a virtual monopoly on office productivity with the Microsoft Office suite, and a powerful collaboration platform with SharePoint. The one thing that could threaten to dent Microsoft's dominance in these areas is the inability to connect to or work with these applications from popular mobile devices. The combination of Nokia's significant share of the smart phone market, and Microsoft's dominance in backend communications and office productivity applications create a formidable opponent to take on RIM and the corporate ‘Crackberry' addiction. More importantly for the Redmond juggernaut, it extends the reach of the Microsoft kingdom beyond the Windows Mobile platform to more than 50 percent of the smart phone market and cement its dominance in providing corporate messaging, communications, and collaboration solutions.